“You’ve Got a Friend” – Sets Still on Sale For 15% Off! And I’ll be there – you’ve got a friend. When it comes to deciding which sets you need during the 15% off sale going on today and tomorrow, celebrating friendship is always a good choice. 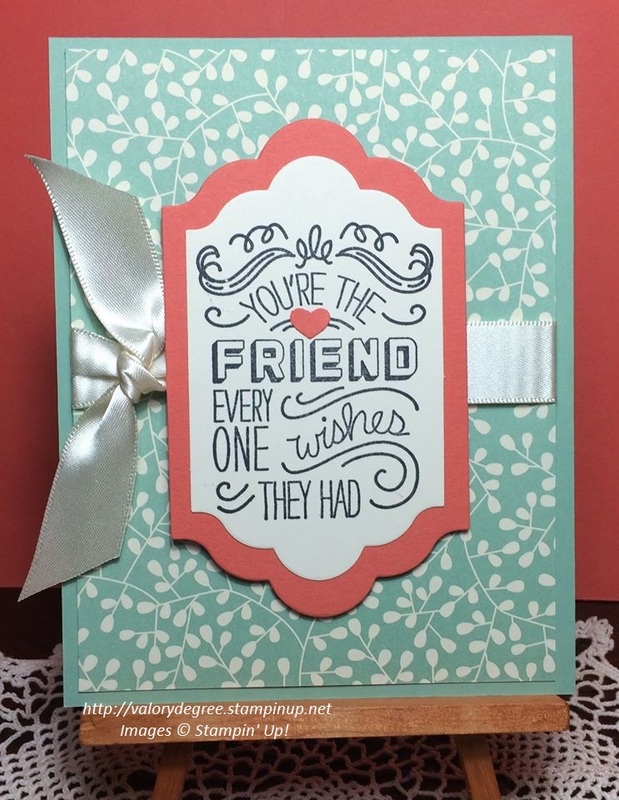 The Friendly Wishes set is 10 stamps for $16.15 (reg. $19.00) if you order by Friday 10/23. 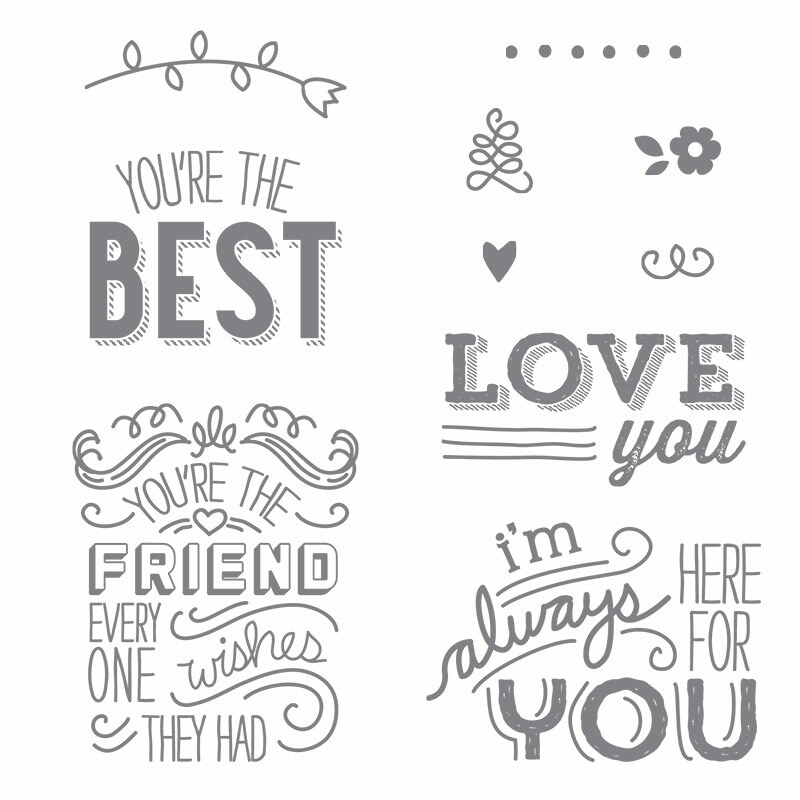 I love this one because it’s easy to stamp with, is an all-occasion set for year-round use, and would also work for thank-you or Valentine’s Day cards! 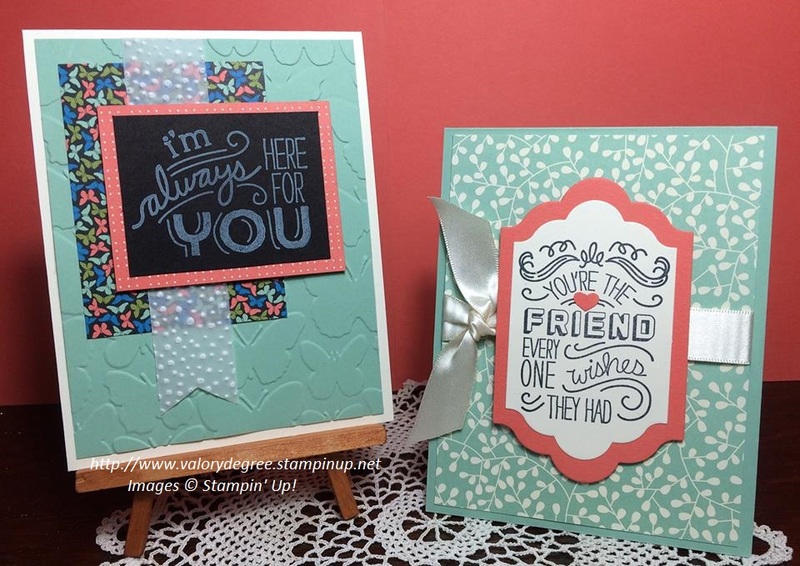 The Lots of Labels Framelits and a bit of Very Vanilla Satin Ribbon make this card as special as your friend who will love receiving it. 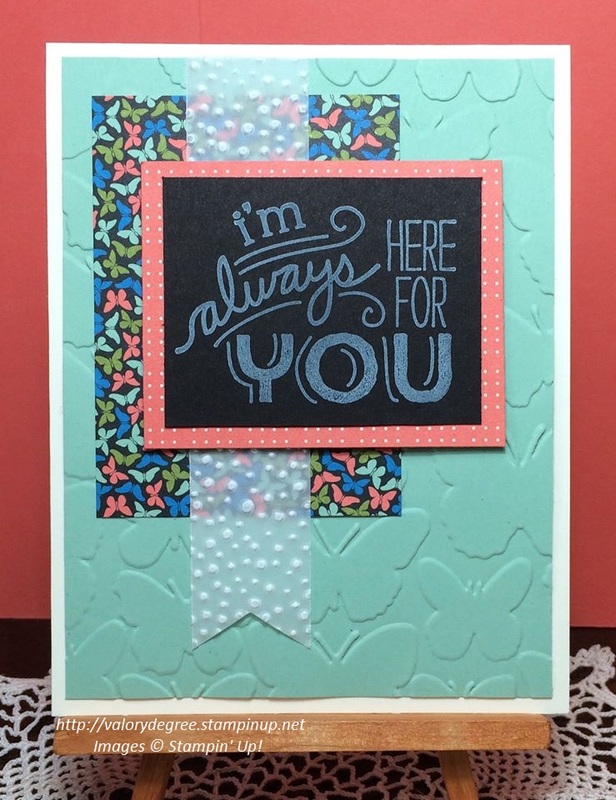 I love embossing on our White Vellum card stock; use the Banner Triple punch to make an interesting accent for this chalkboard technique card. Here are all of the supplies used to make the two “You’ve Got a Friend” cards. Click on any picture for more information or to order! Previous “Angels Warm Your Heart” – Weekly Deals – Tues. Oct. 20th thru Mon. Oct. 26th, 2015 Next Scrap-Happy Bookmark! Thank you, Florence; I’m glad you like them.